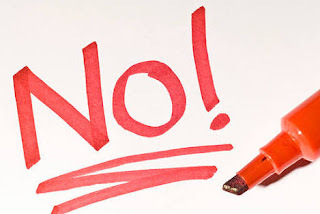 One of the puzzles life places in front of us is how to say no to certain requests, especially from people whom we respect so much or are very dear to our hearts. Oftentimes, we've ended up pleasing them at the expense of our happiness in order not to hurt their feelings. Too bad! How long will you continue to die in silence? How long will you keep sweeping your happiness under the carpet? Don't you think it is high time you made happiness a priority? Please don't get me wrong! You can always say yes to people's requests, but don't ever say yes at the expense of your happiness. You have the right to say no; however, how you say it matters a lot. So how do you say no without offending the person who needs your help? I'm very sorry; I am helpless in this situation. My hands are tied now; you could come some other time. I have a lot on my hands now, could you please come the next time? Regrettably, there is not much I can do; it is an unsavable situation. I have my back to the wall; I hope you would understand me. I wish I could do something about it, but it's unfortunate I cannot help. No! (Saying no to a person without explanation is impolite). I said I can't help you! Are you deaf? Do I look like a philanthropist to you? Must you always come to me for help? I don't think I can help you again! Do you always have to ask for help? Remember, your language, to a very large extent, says a whole lot about you. Choose it wisely!